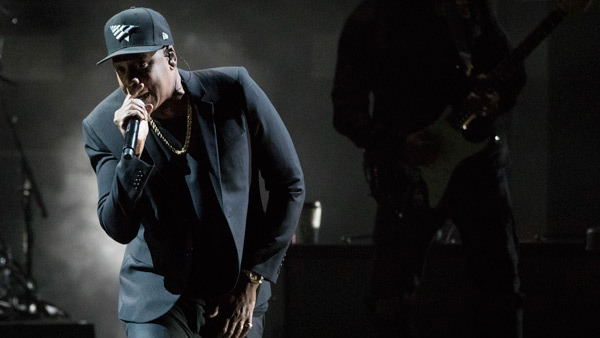 PHILADELPHIA (WPVI) -- Just days after his Made in America Festival on the Ben Franklin Parkway, Jay Z has announced he is returning to Philadelphia. The rap superstar has added a Philadelphia date to his 4:44 Tour at the Wells Fargo Center on Friday, December 1. Tickets will go on sale on Friday, September 15 at noon through WellsFargoCenterPhilly.com, by phone at 1-800-298-4200 or in person at the Wells Fargo Center box office. Made in the America, the music festival created by Jay Z, was held Labor Day Weekend on the Parkway. Thousands swarm the Parkway on Day 2 of Made In America. Annie McCormick reports duing Action News at 6 p.m. on September 3, 2017.